The answer to every corporate challenge these days seems to boil down to one thing: eLearning outsourcing. But is it really the best option for your organization? In this article, I'll highlight 6 facts and stats that you should know before outsourcing eLearning. Like anything else in life and business, eLearning outsourcing has its pros and cons. It’s convenient, because it lets you focus on your primary area of expertise. It keeps employees motivated, since they feel that they are improving their work skills. It makes excellent criteria for promotions and career progression. On the other hand, it might prevent in-house talent from developing their eLearning skills, such as creating an eLearning course from scratch. Let's take a look at some need-to-know facts and stats that you should consider before outsourcing your next eLearning project. Based on a Docebo report , companies allocate roughly 42% of their budget for outsourced online training services. Which is a strong indication that organizations acknowledge the importance of investing in L&D in order to improve training ROI. They know that hiring a trained eLearning professional will provide them with the experience and skills they require. Thereby, allowing them to deliver targeted training content to their employees and reducing turnover rates. This would explain why organizations allocate a sizable percentage of their overall training budget to eLearning outsourcing. One of the common misconceptions about outsourcing eLearning is that it focuses solely on content development. However, about 26% of companies surveyed in the Training Industry Report  stated that they outsource all of their LMS and hosting operations. This includes LMS upkeep and updates, as well as secure data hosting services. Many smaller organizations with limited resources outsource this aspect of their eLearning to reduce IT expenses. For example, they no longer have to hire an in-house IT tech to monitor and maintain the system on their own server. English is spoken in most of the world. Other languages are catching up, namely French, Spanish, German, and Chinese. Although people can communicate in these global languages, the average person thinks best in their native tongue. The beauty of outsourcing eLearning is that you can hire a native speaker to create translated eLearning content. Which can also include cultural references and adages that convey a more conversational, relatable tone, and thereby, fostering a connection with your international learners. Research also shows that learners remember more information if they hear it in their vernacular . As you make your decision on where to outsource, consider the language in which the eLearning course will be taught. You could also find out whether the online training course can easily be localized for your remote employees. It may be well worth the effort to request a tailor-made online training course in your preferred language. According to a 2012 report released by Bersin & Associates , "high impact learning organizations" allocate 20% of their training resources to third-party service providers, while the national average for outsourcing eLearning is around 14%. HILO companies are known for providing highly effective and efficient online training that aligns with organizational objectives. They are top performers in L&D who place a strong emphasis on employee development and skill cultivation. 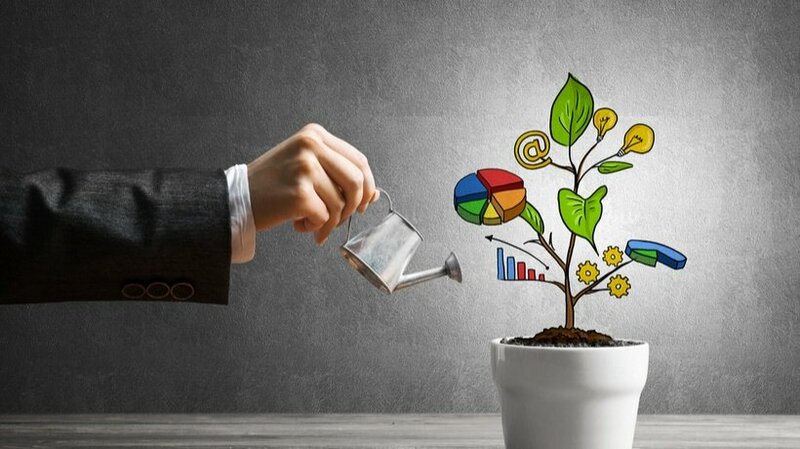 The Bersin study  indicates that these organizations are ready and willing to devote a significant portion of their budget to outsourcing, as they understand the benefits of hiring experienced eLearning professionals who can create goal-centered online training content. Traditional classroom training involves a lot of travel. Trainers and corporate learners have to leave their office and attend training. Learning materials, equipment, and marking tools are all elements to be included in the training budget as well. It is estimated that 40% of all training costs are taken up by travel . Of course, this cost can be cut simply by bringing the instructor to the learners instead. But that would still create cost. The instructor would have to be paid more to teach at your premises, may also incur further costs in bringing the study materials to you. eLearning has the potential to reduce the combined cost by as much as 70% . However, outsourcing eLearning gives you the ability to reap these budget benefits, even if you don't have the time or know-how. Despite the fact that you do have to pay an outsourcing provider, switching to online training can still cut costs in the long run. More than half of all online training instruction and facilitation services are outsourced . Furthermore, larger organizations tend to outsource more of their online training needs than mid-size organizations. In fact, 60% of large companies reported that they outsourced some, if not all, of their online training efforts . This may be attributed to the fact that eLearning is so flexible and adaptable, as it is constantly improved to match industry standards. When you make a choice to outsource eLearning, consider the location of the eLearning course. You could deliberately choose a country that has high industry standards in your chosen field. For instance, Scandinavian countries are big on renewable energy, so that would be a good place to outsource environmental eLearning courses. These 6 eLearning outsourcing facts and stats explore both sides of the coin. While there may be some disadvantages to hiring an eLearning service provider, the pros often outweigh the cons. Especially if your organization is already short on time and in-house resources. Are you looking for tips on how to choose the right eLearning partner? Is your organization already experiencing the tell-tale signs that it’s time to outsource? 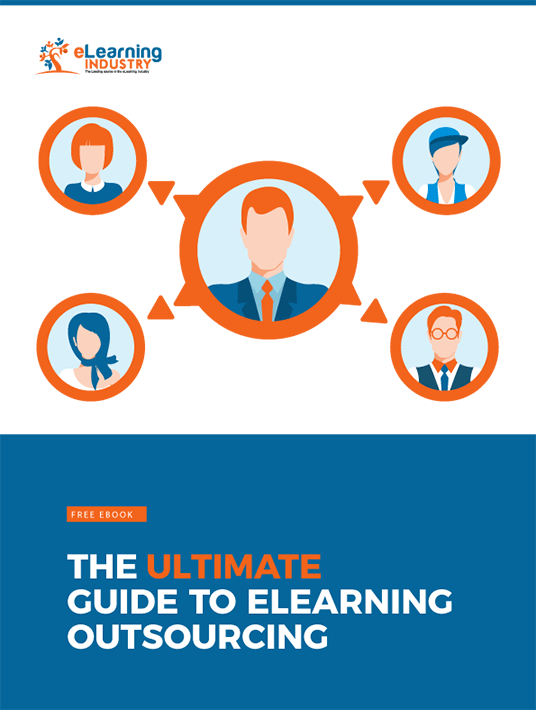 Download our Free eBook: The Ultimate Guide To eLearning Outsourcing to learn everything you need to know about eLearning outsourcing. From calculating your eLearning budget to preparing your team for the task that lies ahead.